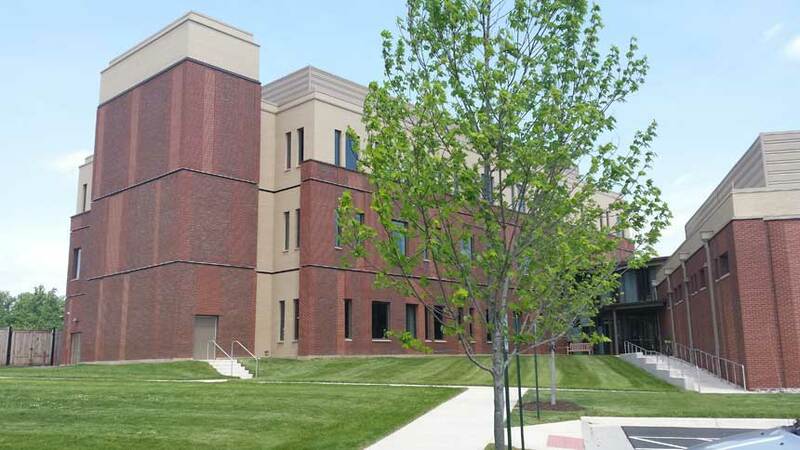 The three-story portion of the newest building on Campus is now being called Discovery Hall. The three-story portion of the newest building on Campus is now being called Discovery Hall. Previously referred to as the academic incubation facility, or part of the Conservation and Collections Resource Center (CCRC), it contains 21,000 square feet and is connected with a common lobby to the separate one-story 23,000 square foot building known as CCRC. Both buildings will use the address of 44930 Knoll Square, Ashburn, VA 20147. The CCRC is a state of the art support facility for The Textile Museum collections, GW's fine art collection, and the Albert H. Small Washingtoniana collection, comprising historic documents and maps related to the founding of Washington, D.C. The second floor of Discovery Hall has been fully built out into teaching wet labs and related facilities as of April 2015. Plans are underway to transform the rest of the building from newly constructed shell space into academic, research and student use. The first floor, with 6,900 square feet of useable space, is currently in the design phase. It will likely include a physics scale-up lab, a multi-purpose video-teleconferencing classroom (VTC) that will hold a minimum of 60 people, and student study and gathering spaces. It is anticipated construction will be completed by December 2015.